Annual Camp Fair and 3rd Grade Pancake Breakfast Saturday, April 7th, 2018 9 a.m. – 12 p.m.
On Saturday, April 7th, 2018, Williamstown Elementary School (WES) will host it’s annual Camp Fair in the gymnasium from 9 a.m. to 12 p.m. along with the annual 3rd grade Pancake Breakfast located across the hall in the cafeteria. WES is located at 115 Church Street in Williamstown, MA 01267. The main Parking lot is located off School Street. The Annual Camp Fair attract hundreds of kids and parents and over 40 different local camps and organizations. For 3 hours on Saturday, April 7th you will be able to pick up our printed camp directory as well as brochures and registration packets from individual camps. Ask questions, browse photos and videos and learn first hand about the wide variety of local summer camp opportunities for your child. 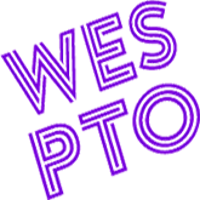 The annual 3rd Grade Pancake Breakfast will take place in the WES cafeteria and will include a variety of delicious breakfast options served up by enthusiastic 3rd Grade student volunteers and their parents. All profits from this meal go to fund the WES 3rd grade end-of-year trip.